Looking for the best price for that airline ticket you want can be frustrating: prices change constantly, you’re always just too late to grasp that big promotion or you just get lost in all the possibilities and ‘great’ deals different airlines are offering. Still, finding a good airline ticket at a fair price doesn’t have to be that hard. 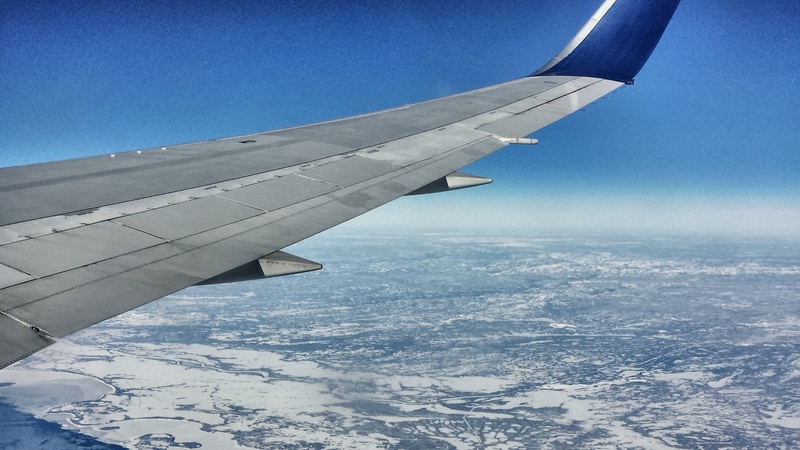 So here are some easy and simple tips for finding cheap flights without paying too much. If you can only travel during the school holidays – for example when you have children – then you should book well in advance. A lot of companies promote (really interesting) early booking rates so you should definitely play attention to these. Early prices for the summer season starts in January/February, for the winter season you should already start looking in August/September. 2. Going on a city trip? Why not fly from different airports? Cities like Barcelona, Venice, Rome, Istanbul, New York and many other popular destinations have several airports that are located in and around the city. Check whether it’s interesting to arrive at one airport and depart from another. Booking sites like CheapTickets.be for instance automatically display the rates for alternate airports within a radius of 70 km. Example: Arrive at Istanbul Ataturk Airport, and depart from Sabiha Gukcen. It can save you a lot of money. You find a cheap one-way ticket to your favourite destination… but the return flight with the same airline cost a fortune. Why don’t you book a single flight back with another company, and/or even from another airport? For example: choose outbound with Vueling and fly to Barcelona El Prat, and return via Girona (Barcelona) with Ryanair. Leaving or returning one day sooner or later can make a big difference in your wallet. Check the flexible dates (+/- 3 days) on your booking site. You can see quickly if it’s cheaper to fly on another day. 5. Flying during the weekends or not? Fact 1: flying with a low-cost airline during the weekends is often more expensive. Flights with low-cost airlines (Vueling, Ryanair, Easyjet, Transavia, Wizzair, etc.) are often more expensive during the weekends simply because these are more popular. Instead of flying from Friday to Sunday you might consider flying from Saturday to Monday. During weekdays it gets even more cheaper. Fact 2: certain destinations are often cheaper at the weekend with a traditional airline. If you’re going on a city trip and want to fly with a traditional airline, you’ll often pay less during the weekend, especially if you are flying to a destination that is popular for business. Think of Munich, Geneva, Berlin, Copenhagen, Madrid, Milan… Business travellers typically fly on weekdays and so during the weekends there are often more (& cheaper) seats available. Sometimes it’s more interesting to buy a more expensive ticket where indeed the cost of baggage have already been included. Check before you book! If you’re living in Belgium you might look for flights from local airports like Zaventem or Charleroi. But just across the border there are several airports that might be interesting for you. Think about Rotterdam, Eindhoven and Amsterdam in the Netherlands, Dusseldorf and Cologne in Germany and the airports Charles De Gaule and Paris Orly in Paris, France. In in the Netherlands, Germany and France the school holidays often fall at a different times than in Belgium, so even if you want to travel during the holidays (or a Belgian public holiday), it is worthwhile to check the flight from a foreign airport. Sometimes it’s much cheaper to book domestic flights in the country of your destination separate from your transatlantic of continental flight. For instance: flying from Brussels via Bangkok to Koh Samui can cost you a pretty penny. In Asia however there are a lot of low-cost airlines that will fly you to various destination at a fraction of the price. So in our example, you’ll better fly to Bangkok and book a domestic flight to go to Koh Samui. I know, we’re all spammed with too much newsletters and other mailbox-cluttering stuff. But often online ticket providers offer great deals; through their newsletter (or via their facebook page) you’re immediately up to date with all the promotions. Keep in mind that the best promos are valid only for a few days, so you must be quick. Keeping track op the price evolution of certain flights is time-consuming, so look for booking sites that have the option to set a price alarm. I mostly use CheapTickets.be; just put in your favourite date and destination and you can follow the evolution daily by mail. Tickets are (almost) never cheaper shortly before departure. The fewer seats available, the more expensive the price. Don’t expect to find extremely cheap tickets just a few days before your planned departure, so don’t wait too long if you stumble upon a flight ticket with a good price. Have some extra – easy – tips for finding cheap flights? Let us know! I think that flexibility is crucial when searching for cheap flights/accommodation. Amazing tips, especially helpful when travelling on a budget, Nina! Great advice. Regarding booking 2 single tickets you can also consider an open jaw ticket by flying back to a different airport (Google for “open jaw”). This can save you a lot of money in some cases, especially on intercontinental flights.